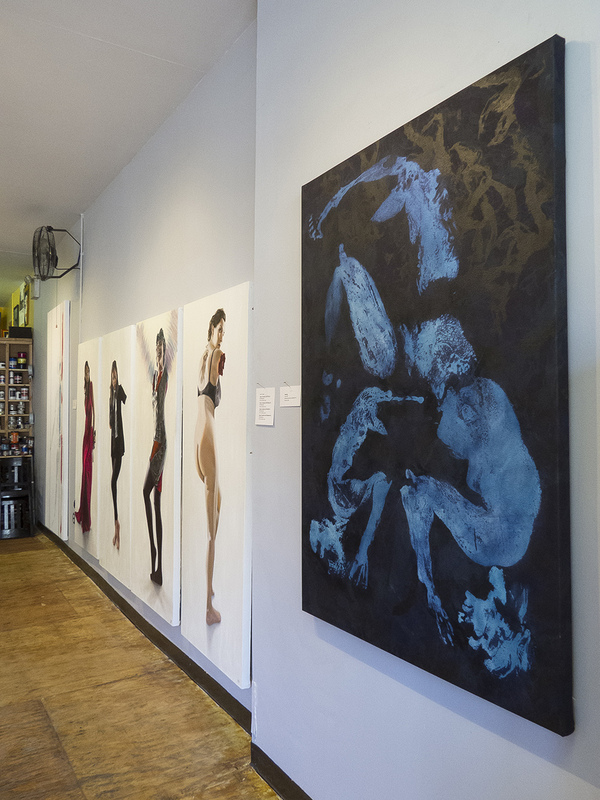 Center left: work by Phil Rabovsky. On wall: work by Lane Sell. Center of room: work by Phil Rabovsky. Foreground: work by Phil Rabovsky. Background: work by Lane Sell. Foreground: work by Lane Sell. Background: work by Phil Rabovsky. Wall: work by Lane Sell.